12 fertilized hatching eggs, there are no returns or guarantees. Fertility has been checked multiple times and it has been excellent. Mottled Cochins are a joy to own, they are so friendly and easy going, great for kids and family. Good layers of medium size bantam eggs, and they go broody making great mothers, you can rely on them to be your little incubators. 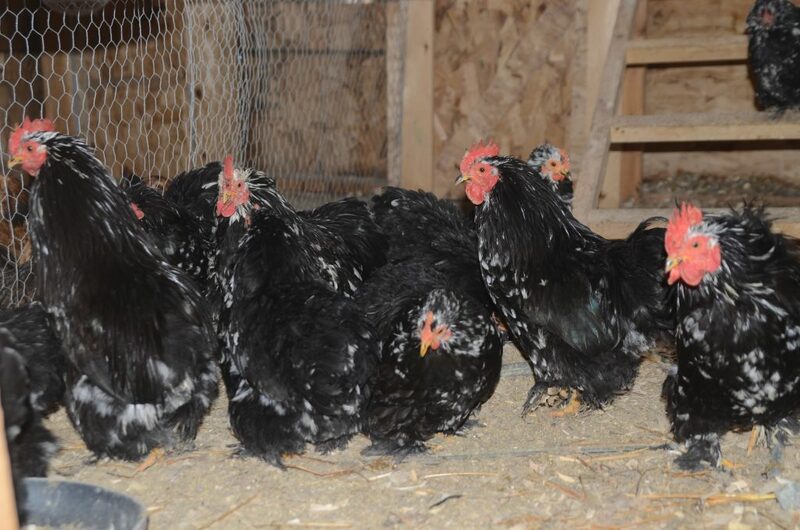 They are very winter hardy, they just went thru a subzero winter, and look how nice they look, not a single one has a frost bit comb and they all stayed healthy, with all the extra feathers they keep plenty warm in the cold of winter. Mottled Cochins are adorable sweet birds that get along well with all other breeds of chickens area great addition to any flock.